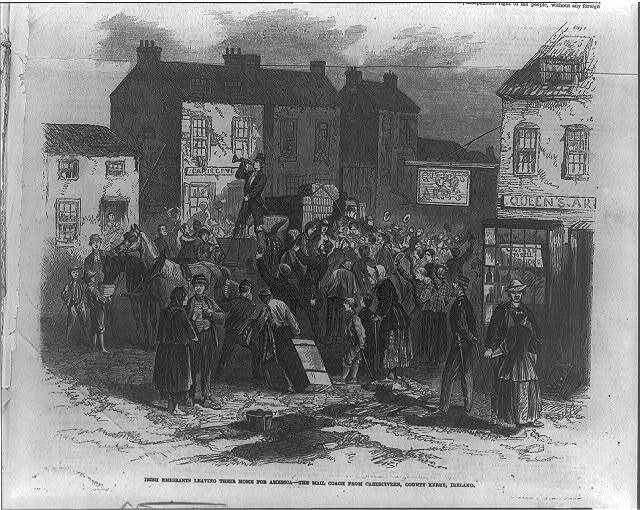 This site covers the stories of numerous Irish Famine emigrants who later found themselves caught up in the American Civil War. Many of these stories deal with the consequences for those who suffered during the conflict, as thousands were forced to deal with a second great trauma in their lives. However, seismic disruptive events such as the Famine and Civil War also highlight the remarkable resilience and determination of many in the face of adversity. Such is the story of Catherine Long, an emigrant from Kerry who made courageous decisions to alter her family’s fortunes in the midst of Famine ravaged Ireland. New York Irish World 9th September 1893. Taught Her Sons Patriotism. 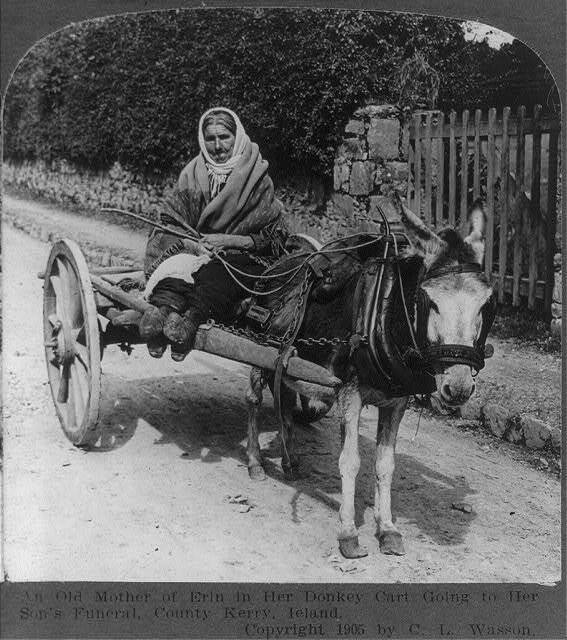 The Life Story of a Grand Old Irish Woman. Her Three Sons, Two Brothers and Seven Nephews Fought for the Stars and Stripes. Vermont Phoenix 19th March 1897. Mrs. Catherine Long. From the uniform in the photo it would appear that the 11th Mass. were a pre-war volunteer unit.Also being at 1st Bull Run would suggest they were serving as 90 day men. Her brothers imprisonment for being pro-United States is interesting and leds to another avenue for research, it never ends. Well done keep up the good work. Many thanks! 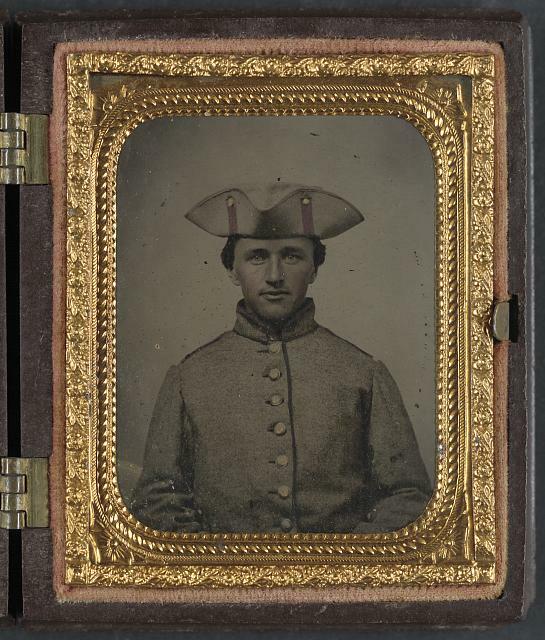 They were known as the ‘Boston Volunteers’- no doubt a very early war militia-related uniform! You are quite right, there are literally thousands of different avenues to explore with the Irish in this conflict, and so few of them have been looked at- a lifetime of work! This could have been the tale of hundreds of women. It is great that you are giving Catherine the dues she deserves. Many thanks for the comment- absolutely, we are really fortunate that she seems to have achieved a bit of celebrity during her life which meant her story was recorded on a couple of occasions. In the vast majority of cases it wouldn’t have been, so we don’t get to hear about their experiences in quite the same way. Vermont strikes again. Brattleboro was a destination for people from Southwest Munster all through the 1800s (as was the entire Connecticut River Valley). Rutland County where Tipp Man, Jeremiah Durick (previously profiled) lived was a hotbed of people from Northwest Munster. It is really striking how many Irish seem to have gone there, and to be honest before coming across your work and all these connections I had not realised just how popular a destination it was. I am going to have to visit that part of the World at some juncture! Ccn anyone or has anyone identified the 7 Leitrim men who fought in the civil war and who are referred to in Damien Shiel’s book? Many thanks for the comment- those 7 Leitrim men are only those who served in the 23rd Illinois Infantry- there would have been many hundreds (most probably many thousands) of Leitrim men who served during the American Civil War. That information was drawn ultimately from the Illinois Civil War Muster and Descriptive Rolls (http://www.ilsos.gov/isaveterans/civilmustersrch.jsp) although there is no search function for county, you have to go through each record one by one. Are you interested in exploring Leitrim men in the Civil War? Hi Damien. Many thanks for your prompt response.As a Leitrim man myself I am interested in the involvement of Leitrim men in the Civil War. Moreover I note that there is a campaign in place to erect trees to all of the men who died in the conflict at a cost of $100 per tree. I intend to make a contribution to this exercise but obviously it would be helpful to have specific names as opposed to an unidentified group but given the passage of time and the limited information available it may not be possible to identify ieach or all of those from the County. Any suggestions or guidance would be appreciated. Hi…I am probably a relative of hers. 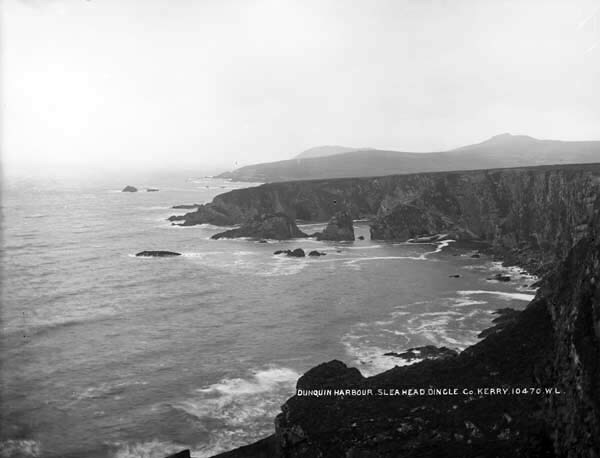 My ancestors are Garveys from Dunquin Ireland. Four brothers emigrated..one in 1830s to English Canada and three early 1850s..Pat, Dan, John and Timothy. Dunquin is a tiny village..probably bigger back then. Peig Sayers also mentions living next to a house owned by a Michael Garvey who died in the famine. I am going to Dunquin in a month and will take this story back with me. Thanks for the comment- it sounds like there is a good chance you are related. I know Dunquin well, it is a beautiful part of the country- I would be interested to hear how you get on and if it is something that is known about by any relatives there. Just FYI, Catherine Garvey Long had a brother John who settled in Brattleboro for a short time in the late 1840s before leaving for the mining fields of northern California. I have found no evidence that he participated in the military during the Civil War. Many thanks for this information! Do you know what became of him, did he stay in California? Thanks for the comment! It would be great if they were related, a really amazing woman!